My mother's side of the family has been making this dish for holidays and special occasions for at least as long as I can remember and I'm sure for much longer than that. The best part of it is, that it also just so happens to be both gluten, dairy, and soy free! In a large and deep pan, heat 1 tbsp olive oil on medium heat. Add the green pepper, olives, onion, and garlic. Saute until the onions just begin to become translucent. Add the ground beef and cook until mostly browned. Breaking up any large chunks. 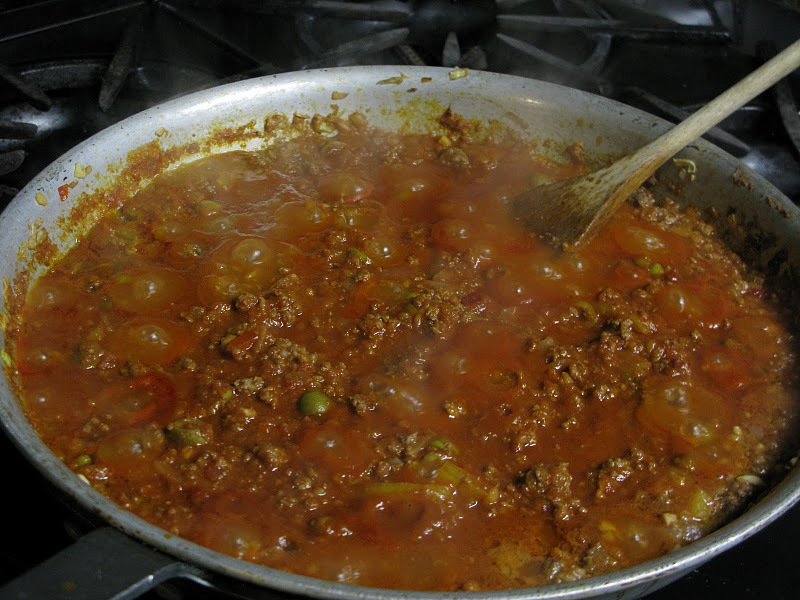 Add the tomato paste, water, applesauce, raisins, vinegar, and remaining olive oil. Simmer uncovered for about 30-34 minutes. Makes enough for about 4 large servings.